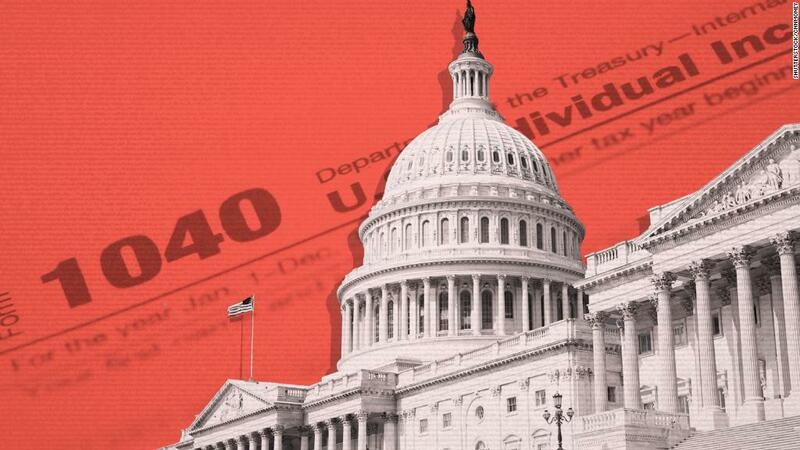 Republicans on Friday unveiled the final version of their tax bill, and it has new restrictions for some homeowners. Senate and House Republicans have reconciled their versions of tax legislation and the final plan shrinks some popular deductions. Lawmakers aim to vote on the bill next week and then send it to President Trump's desk. New homebuyers would now only be able to deduct interest on the first $750,000 of mortgage debt on a newly-purchased home. That's down from the current $1 million threshold, but higher than the $500,000 limit the House proposed in its tax overhaul in November. Current homeowners would not be affected by the lower cap. The deduction has helped make home buying more affordable for some homeowners. While the median home price nationwide is currently $254,000, buyers in some cities face much higher price tags. The lower limit could make it harder for house hunters in expensive cities. For instance, in New York City, nearly 64% of mortgages on homes sold this year were over $750,000, according to data from ATTOM Data Solutions. And in San Francisco, 58% of home loans exceeded the new cap. Some experts worry the increased threshold could keep people from selling their homes, which could squeeze the already short supply of housing. "The mortgage interest deduction change will put downward pressure on prices as well as sales," said Joe Kirchner, senior economist at Realtor.com. Current homeowners might hesitate to trade up to a more expensive house if the price tag is too high to take full advantage of the deduction. Homeowners must itemize their taxes if they want to claim the mortgage interest deduction. But since the final bill calls for nearly doubling the standard deduction, far fewer Americans are expected to itemize come April. "In my generation, before we had a home we took the standard deduction, but as soon as we bought a home we started itemizing because that mortgage interest deduction was so significant," said Kirchner. "Now with the higher standard deduction very few people will itemize. It will virtually eliminate the deduction on a practical level." The final tax bill also eliminates the deduction for interest on home equity loans. Currently that's allowed on loans up to $100,000. Taxpayers will no longer be able to fully deduct state and local property taxes plus income or sales taxes. Instead, the legislation allows individuals to deduct up to $10,000 in state and local income and property taxes or state and local property and sales taxes. That means homeowners living in high-tax states like New York, California and New Jersey could see an increase in what they owe Uncle Sam in April. Nationwide, 4.1 million Americans pay more than $10,000 in property taxes, according to data from ATTOM Data Solutions. Both the House and Senate bills originally wanted to scale back a tax break for homeowners when they sell their home for a gain. Taxpayers will still be able to exclude up to $500,000 (or $250,000 for single filers) from capital gains when they sell their primary home, as long as they've lived there for two of the past five years. Earlier tax reform proposals would have increased the live-in requirement to five out of the last eight years. CNN's Lauren Fox and Phil Mattingly contributed.